Ease burning or stinging caused by essential oils on hyper-sensitive skin or open wounds. All True Love products are made from a 100% natural blend of plants, minerals and essential oils. We have taken great care to formulate our products to balance effectiveness and mildness. 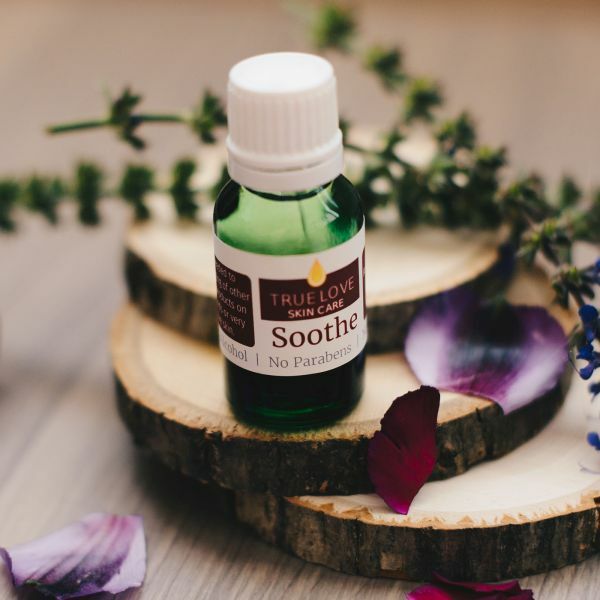 Unfortunately, some people with extremely sensitive skin or open wounds may experience a burning or stinging sensation when applying any essential oils to their skin. So, we developed Soothe, a gentle blend of mild carrier oils to dilute any True Love product. If stinging occurs, simply add Soothe to that area. Apply as needed to ease burning or stinging caused by essential oils on hyper-sensitive skin or open wounds.